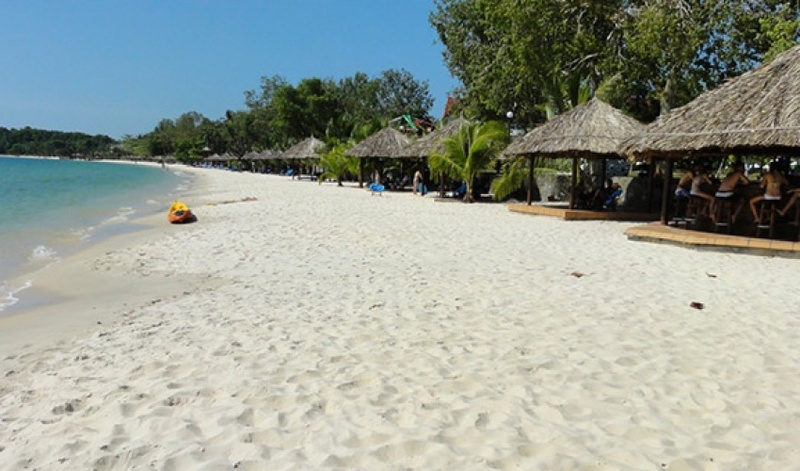 Sokha Beach adjoins O'Cheuteal Beach. It is also long though the water is deeper than here. 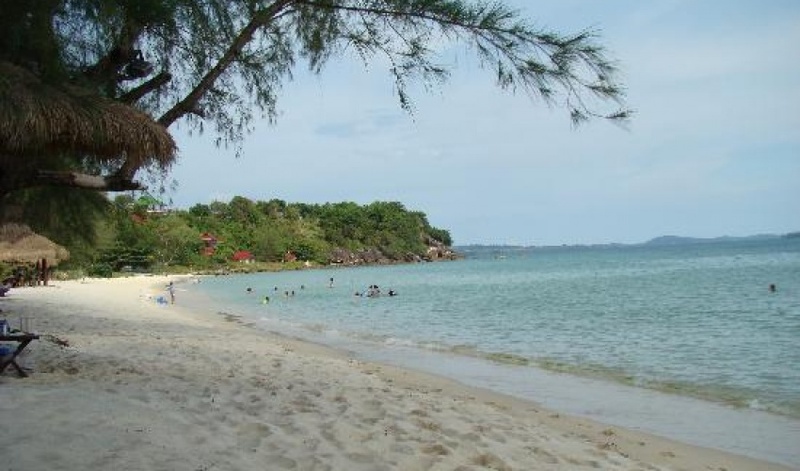 The beach was once more crowded than O'Cheuteal Beach, because Cambodians prefer it to the other beaches. 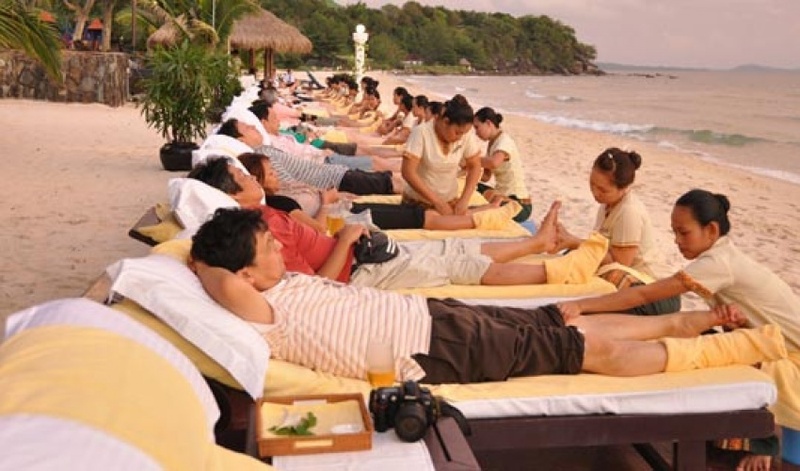 However, Sokha Hotel Company recently took over operations at the beach. 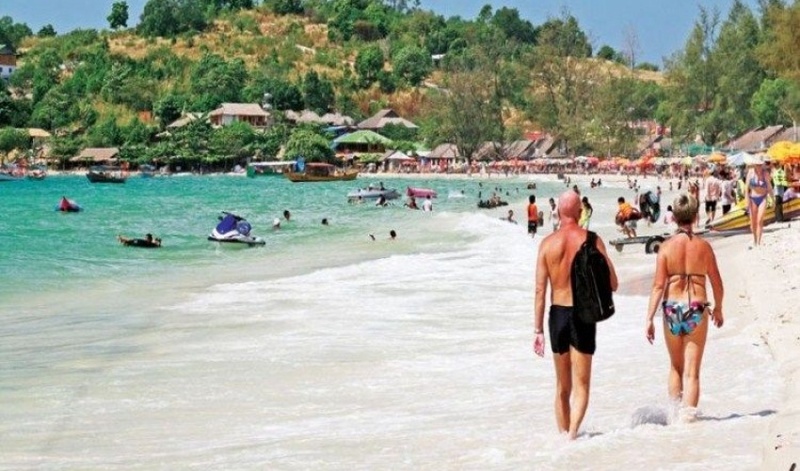 The company is building up the area in hope of attracting more tourists to Sihanoukville. 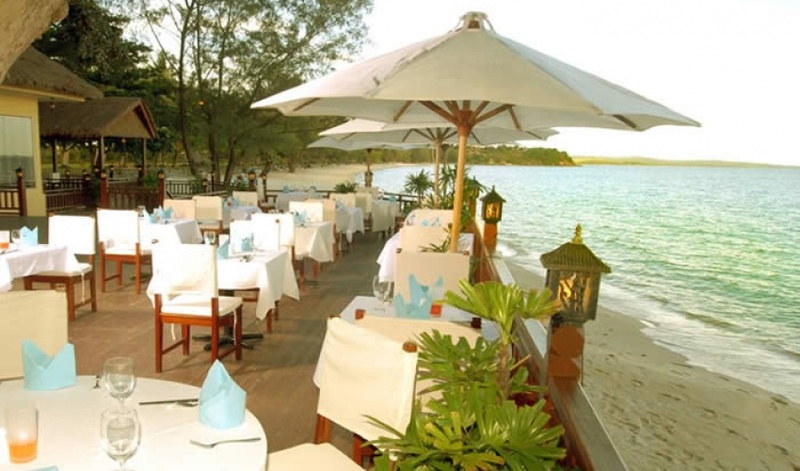 The beach is backed by the huge, sprawling Sokha Beach Resort, the first - though no doubt, not the last -truly flash hotel to plunk down in Sihanoukville. 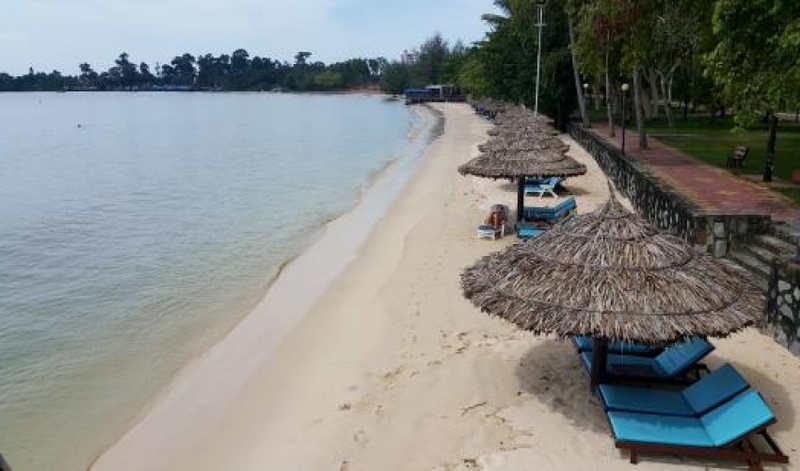 Although it's a shame to see one resort dominate the beach, at least they look after it well -the beach is near-always clean and the water sparkling. 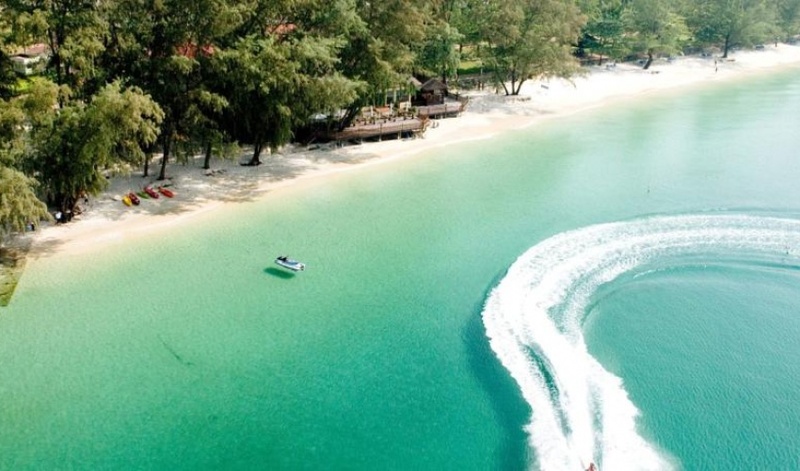 There is a very shallow drop off here, so you can wander a long way out into the water before it gets particularly deep, making it great for those with young children. 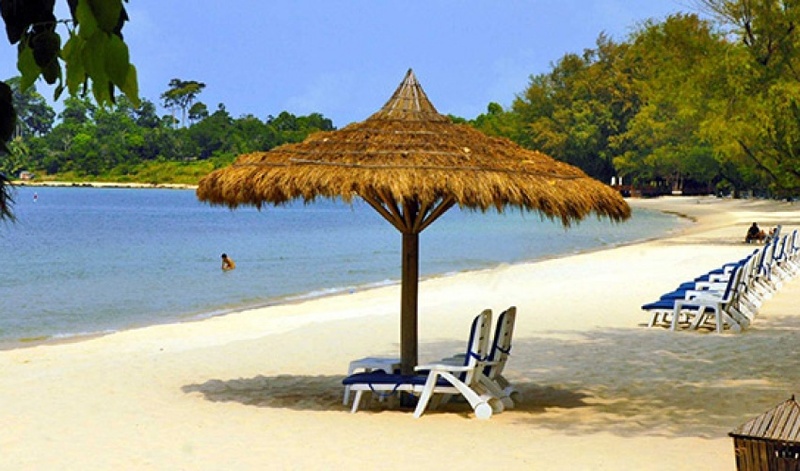 While we personally had no problems accessing the beach without being a guest, there have been persistent reports regarding hotel security guards chasing non-guests off the beach. 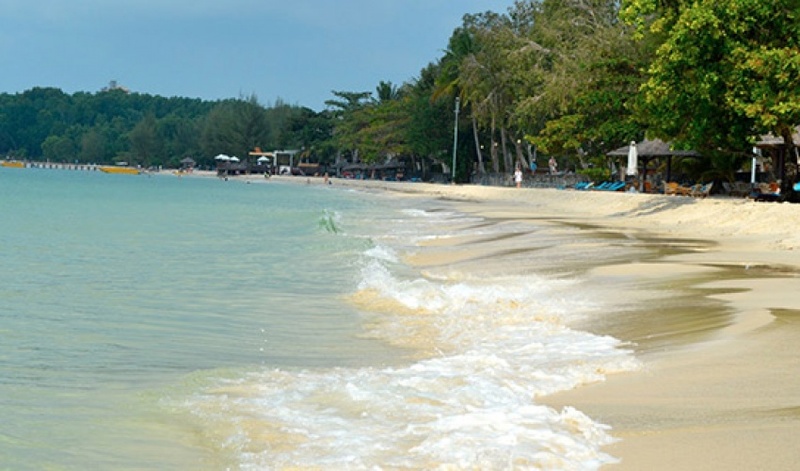 One option we guess is to approach the beach through the resort - one assumes the guards don't have identikits of all the guests - but one would have hoped this would not have been necessary in the first place. 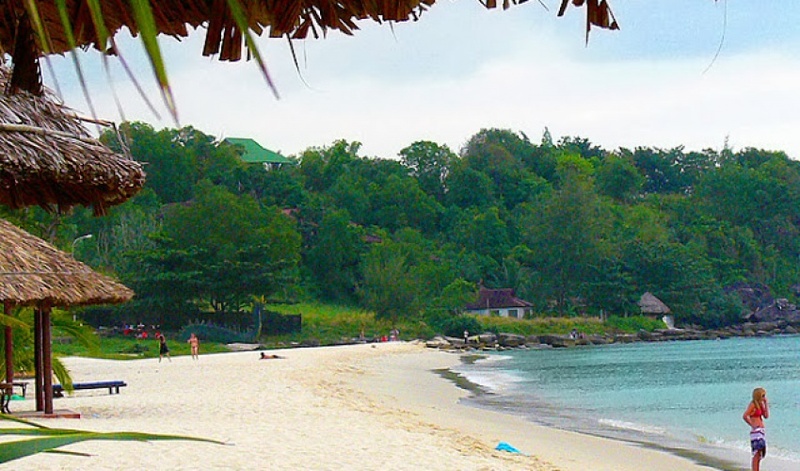 Sokha Beach Resort is set amidst 23.5 hectares of beautifully landscaped beachfront and garden with its own 1.5 kilometers pristine white sandy beach. 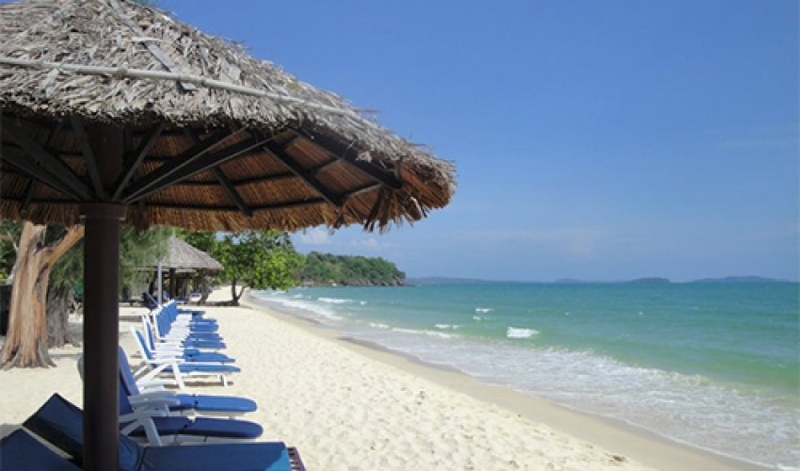 This property is located just 5 minutes drive from the town of Sihanoukville. All of the spacious rooms and suites are tastefully decorated for comfort in traditional ancient and modern Khmer design. 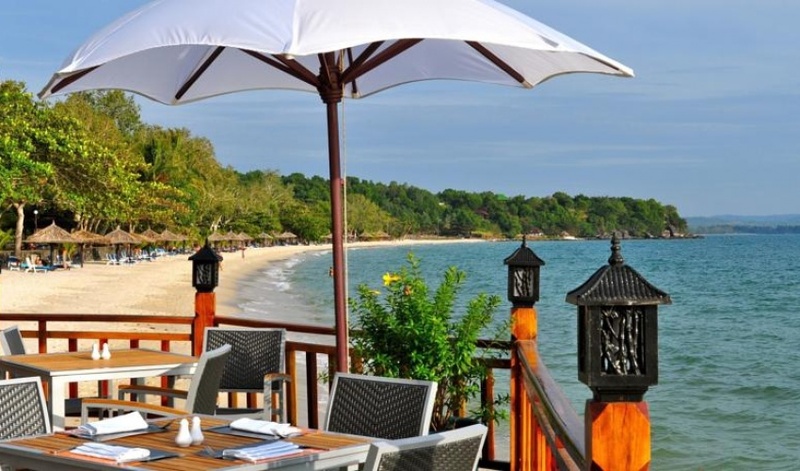 You can also enjoy the magnificent views of tropical garden or the beautiful sea from your private balcony. Rejuvenate your mind body and soul at the Resort's spa where you can discover the simple joys of life with endless pampering treatments from head to toe. The state of the art gymnasium and the swimming pool at Sokha Beach Resort & Spa Sihanoukville is the place to unwind after a long day of work or pleasure.